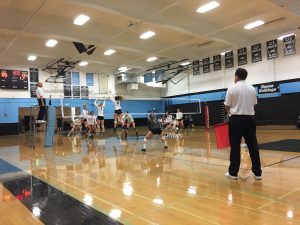 The Foothill girls’ varsity volleyball team lost to Santa Clara High School on home territory today. 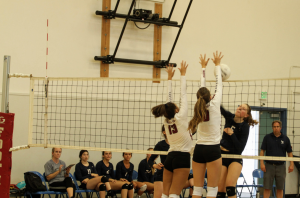 They played five rounds with individual game scores of 1-3, 21-25, 13-25, 26-24, and 20-25 points. Although they lost, Tarleton sees improvement in their playing since they previously competed against Santa Clara. 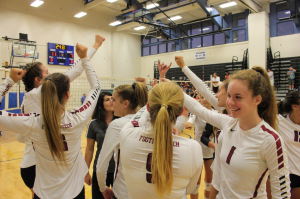 “The last time we played Santa Clara we lost in three sets. 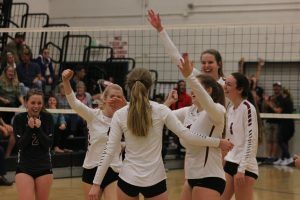 Tonight we took them to four sets,” said Tarleton. The coach believes that the team put more of what they learned into action. 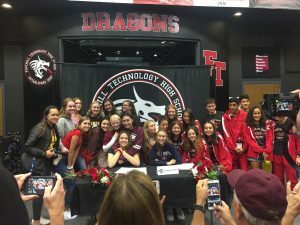 “They started to play together as a team and execute the techniques we’ve been working on in the practice gym,” said Tarleton. The coach felt that the team played well today, even if they lost. He is more proud that they are starting to show that their practice is paying off. 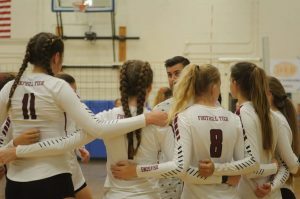 The volleyball team has one win and six losses in league so far this season, with one win and seven losses overall.